Happy Sunday!! Did you guys enjoy last week’s gift guide for the hostess? Today I’m sharing my favorite present picks in the beauty, hair, fitness and general wellness categories. I don’t know about you, but I always love receiving gifts in these categories! Mostly because after the holidays are over, I’m usually wanting to get back into a healthy routine and really put my best foot forward for the new year. 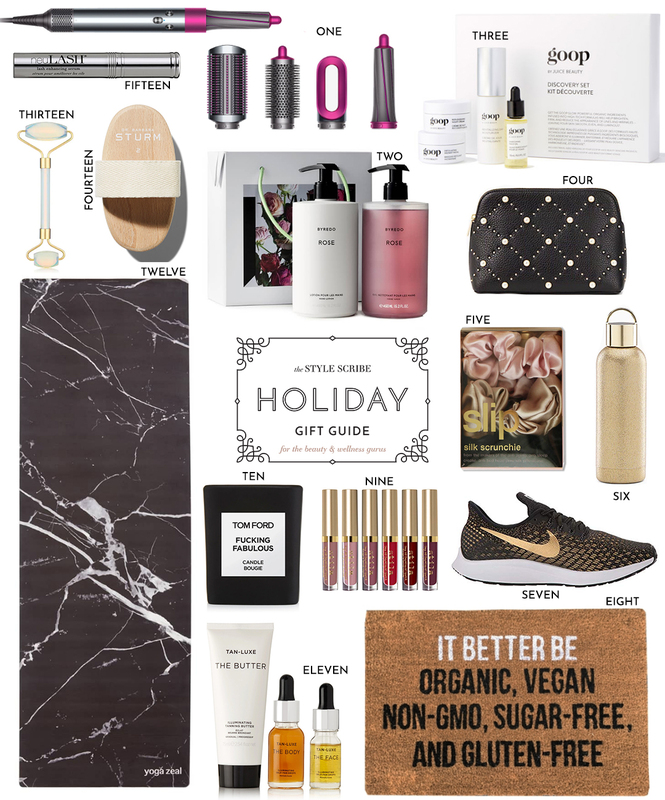 Shop even more health, beauty and wellness gifts in the price brackets below, and stay tuned for more holiday gift guides every Sunday until Christmas. Click here to see all previous gift guides! This is for sure an incredible gift guide!